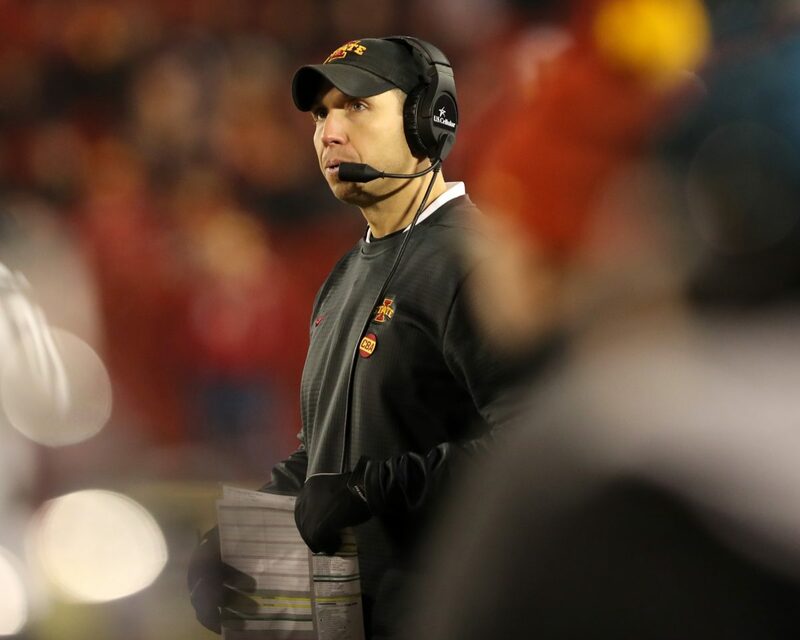 AMES — It was so innocent, Iowa State football coach Matt Campbell thought nothing of it. Highly touted recruit Breece Hall had requested No. 28 as his jersey, and Campbell simply honored the talented running back’s choice. So the university updated its roster to reflect Hall’s signing — and designated number — and criticism then started percolating on social media, since that was obviously former great Troy Davis’s number. Davis himself even suggested he felt slighted on his Facebook page, and a seemingly simple matter suddenly became fraught with a modest degree of controversy. Campbell, to put it mildly, was confused. 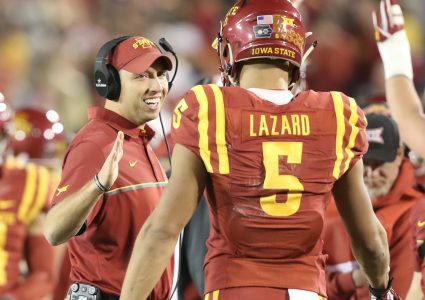 So enough about numbers — except for those associated with ISU’s top-50 recruiting class, of which Hall is one of the standouts. 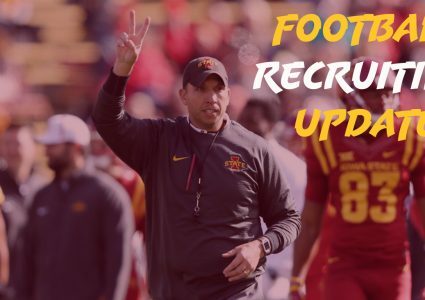 He’s already enrolled at ISU, along with a handful of others in a class that Campbell says will deepen the talent pool for a surging program rippling with competitiveness at all position groups. “I think, really, positionally, across the board, you’re seeing us now add layers of depth,” Campbell said. “And you even talk the running backs, well, we can’t forget that we’ve got Sheldon (Croney), and we can’t forget that here’s a kid coming back for his senior year and when we’ve asked that kid to show up for us, he’s showed up in a really good way. Kansas State two years ago and Oklahoma State this year, where he got those opportunities and took advantage of it — and even his run in the bowl game. It’s, gosh, pretty good. And Kene (Nwangwu) is a guy that hasn’t been healthy and missed a lot of spring ball last year and (was) limited in fall camp and you would have said two years ago, before he got injured, here’s a guy that’s gonna fight with David (Montgomery) for playing time and compete in that and now all of a sudden you get him back — and Johnnie Lang, same thing. 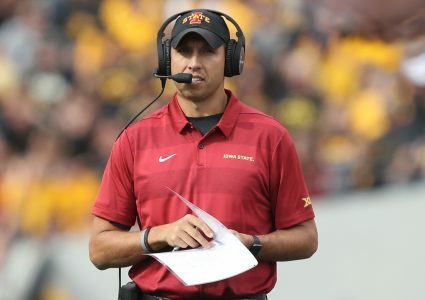 Just health standpoint, so then you bring a Breece and you bring a Jirehl (Brock, ISU’s highest-rated recruit, according to 247 Sports) and Leonard Glass, where does he fit, position flexibility, because he can be an elite runner, but he’s also got so many position flexibility opportunities for us that now you’ve got competition. Hall, from Wichita, Kan., and Brock, from Quincy, Ill., may be the headliners of a class that will fully take shape once the traditional National Signing Day comes tomorrow, but Campbell’s jazzed about the entire group — and for good reason. Campbell said the program might add a player or two tomorrow, with possible grad transfer additions also looming, but otherwise it will be a business-as-usual day, which is a very good thing. If only the same could be said for the seemingly innocent decision to honor an incoming recruit’s family-based jersey request. And perhaps it can be, now.